Adding a brand new dog to the family can be an exciting event. However, it is important to take some time to learn all you can about providing the best care possible for your new friend. While some people might think that all it takes is a bag of dry dog food and a bowl of clean water, there’s much more to it than that. Your South Coast veterinarian can help you give your new family member a healthy start that will provide you both with many more years of happiness and companionship. The first few tips can be helpful before you even bring your new dog or puppy home. Vet care for cats and dogs is critical, especially if you already have another pet living in your home. 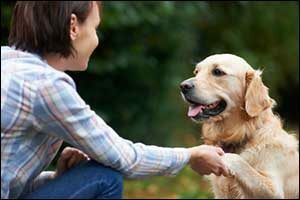 Westport pet owners should always seek professional support themselves to make sure they provide proper care before bringing him home to meet the family. Before you sign on the dotted line, make sure to find out all you can about the breed of dog you are considering for adoption. Some breeds require more attention or activity than others, so this is an important step. Ask the person or place where you are adopting the dog from about the dog itself. Ask about any specific health conditions or needs, temperament, the age of the dog, training or discipline issues, type of food, whether they are spayed or neutered, and if they are up-to-date on shots. Ask for a shot record, if available so that you can take it to your South Coast veterinarian. Even though the person says that the dog is up-to-date on their vaccinations, it is still a good idea to bring them to your local Dartmouth emergency vet and veterinary clinic for a check-up. They can look for things like fleas and other parasites, provide you with advice for future vaccinations and preventive treatments, offer assistance with any pre-existing health issues, and get your new dog off to a healthy start in your home. Make sure to get the same food that the dog has been eating. If the veterinarian recommends a change in diet, get the new food as well and begin mixing the food according to the vet’s instructions. This is smart vet care for cats and dogs to prevent stomach issues when changing diets. Ask your vet about crate training your dog. This can be a great way to help the dog feel safe and protected in a new environment. You may want to start training from day one to ensure that the transition goes smoothly, especially with an older dog. The next tips have to do with the ongoing training, care, and activity for you and your new dog. Adopting a dog is a lifelong commitment and should not be entered into lightly. Consider these tips and the responsibility that goes along with them before adopting a dog of any age or breed. Westport pet owners and pet owners throughout the South Coast region should check their local dog laws to make sure they are acting responsibly. There may be leash laws, laws about licensing and registration, specific breed requirements, and insurance considerations for renters. Microchipping, spaying, and neutering are also requirements in some areas, so it pays to find out what you will need to do before adopting a dog in your city or county area. Consider signing up for a basic training course, even if the dog is already housebroken and can answer to certain commands. The training is just as much for you as it is for your dog and can be a big help in creating a good relationship from the very beginning. Make sure to provide your dog with activities that will keep him healthy and active throughout his lifetime. Daily walks, playtime in the yard, indoor toys, and visits to dog parks for socialization can all be very beneficial. Make sure that your dog gets regular baths, nail trims, and trips to the groomer, depending on the demands and needs of his breed. Some dogs require professional grooming, while others can be washed in the bathtub at home with a quality shampoo and conditioner. Get regular check-ups, preventive treatments, vaccinations, and other services from your South Coast veterinarian. Make sure you have the number to the local Dartmouth emergency vet for urgent situations and that you get annual check-ups and vet care for cats and dogs throughout their lifetime. Westport pet owners can bring their dogs, cats, and pocket pets to Anchor Animal Hospital in Dartmouth. Give us a call at 508-996-3731 to schedule an appointment or to learn more about our services.